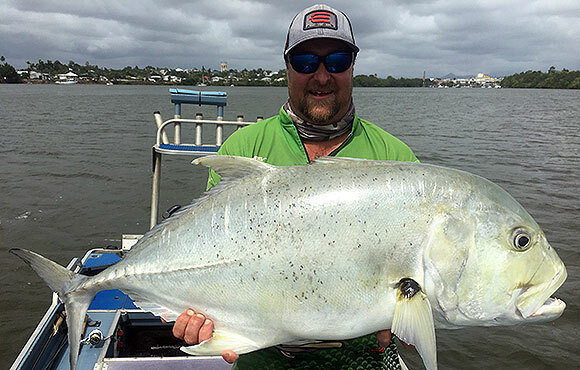 At Fish Hunter FNQ we pride ourselves on being a professional outfit with well maintained, quality equipment and tackle. We do the miles to get the smiles, travelling to the destinations we think will have the best opportunity to fulfil your fishing goals. 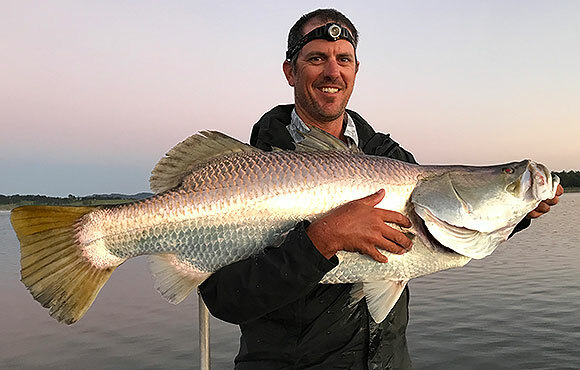 Whether it’s a first Barra, 100th Barra, or you’re wanting to catch a Jungle Perch or Sooty Grunter, we’ll give it 100% to make your day memorable. 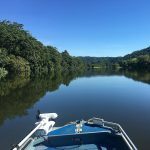 Our destinations include the World Heritage listed Daintree and Johnstone Rivers, Russell and Mulgrave Rivers, Tinaroo Dam and Trinity Inlet (if you only have a half day available). 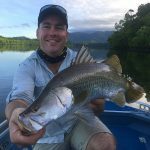 Our Cairns lure and fly fishing charters can be booked as full day or half day trips, with pick-ups across Cairns, the Northern Beaches and Port Douglas. We keep our numbers small, a maximum of 2 anglers, and our experience big. 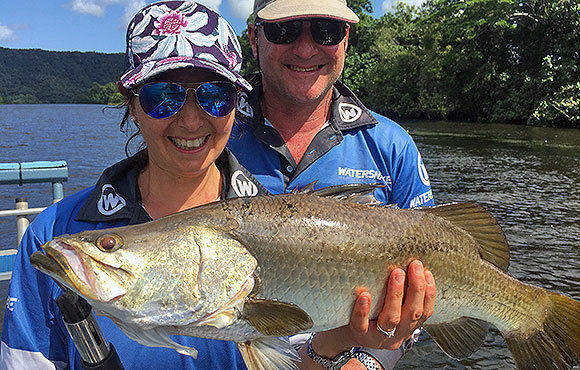 Lure fishing the most scenic freshwater rainforest rivers and mangrove lined estuaries, that Far North Queensland has to offer. 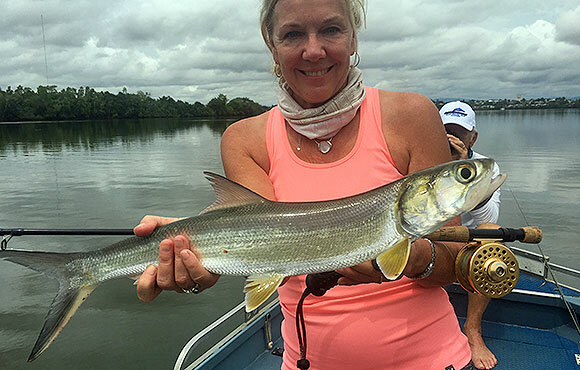 We provide all meals, equipment, snacks and an experienced fishing guide. Full and half day charters available. 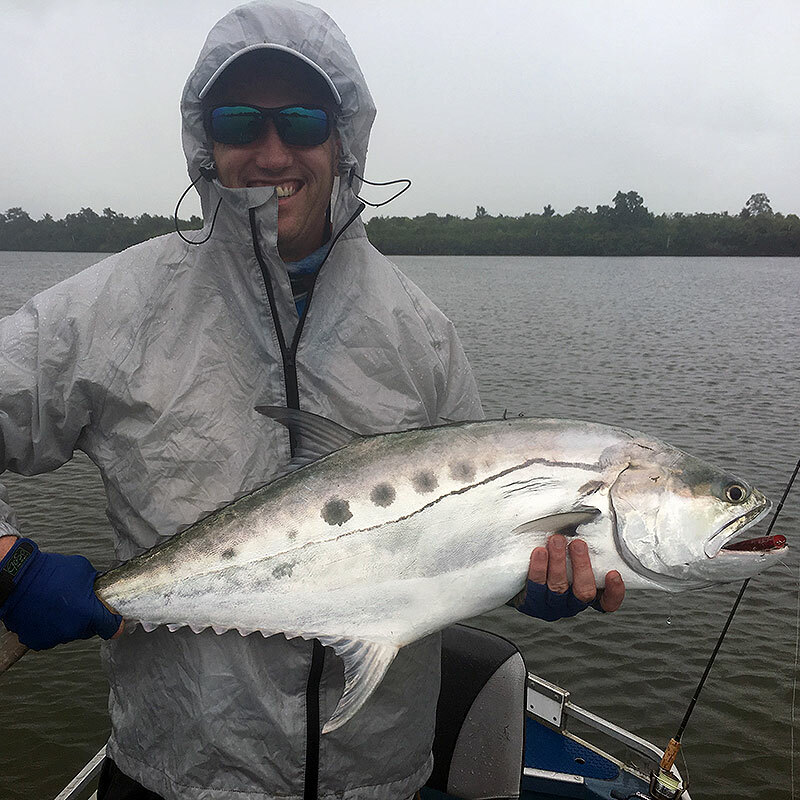 Fly fishing the rivers and estuaries around Cairns and Tropical North Queensland, gives you the chance to land some spectacular fresh and saltwater tropical species. Full and half day charters, catering to novice and advanced fly fishermen. 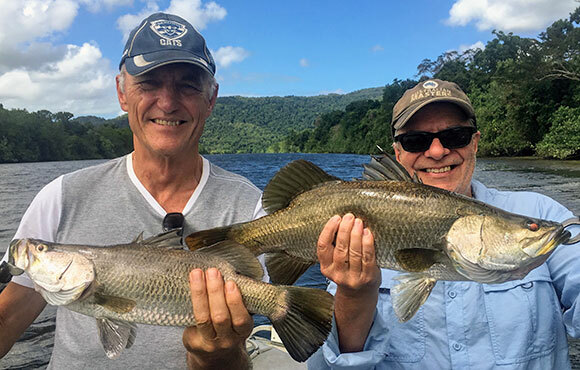 Our Port Douglas fishing charters see you enjoy a full day on the spectacular Daintree River, surrounded by tropical rainforest. Specialising in lure and fly fishing charters, our Port Douglas trips have lots of inclusions and promise a great day fishing. The Daintree River is renowned for its lure and fly fishing and we’re one of the few operators permitted to fish there. These are full day sole charters, with pick-ups from Cairns, the Beaches and Port Douglas. 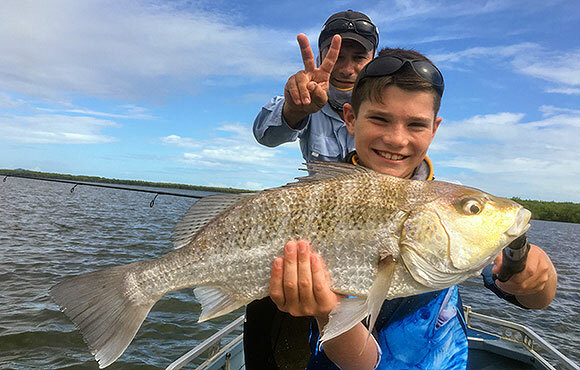 Premier sport fish including Barramundi, Mangrove Jack and Trevally, along with many other tropical species such as Tarpon, Queenfish, Fingermark, Sooty Grunter, Jungle Perch and a range of other salt and fresh water fish. Will Pritchard is your fishing guide. 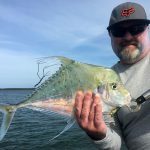 He has lived his whole life fishing, spending more than 20 years in the fishing charter industry. 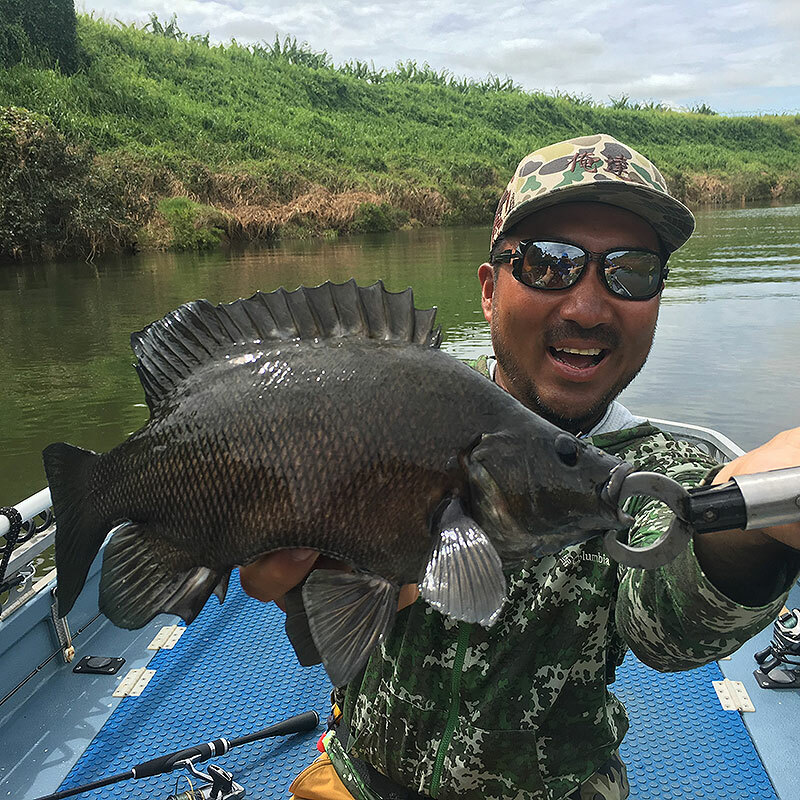 He brings his river passion to life at Fish Hunter FNQ and will take you to the very best locations. "Top guide who knows what he's doing, will go above and beyond to find the fish and accommodate to whatever you need. Top bloke, excellent service and quality gear. Highly recommend a booking." "Booked in for a day fishing and from the moment I was collected, until my return, I was treated like royalty. 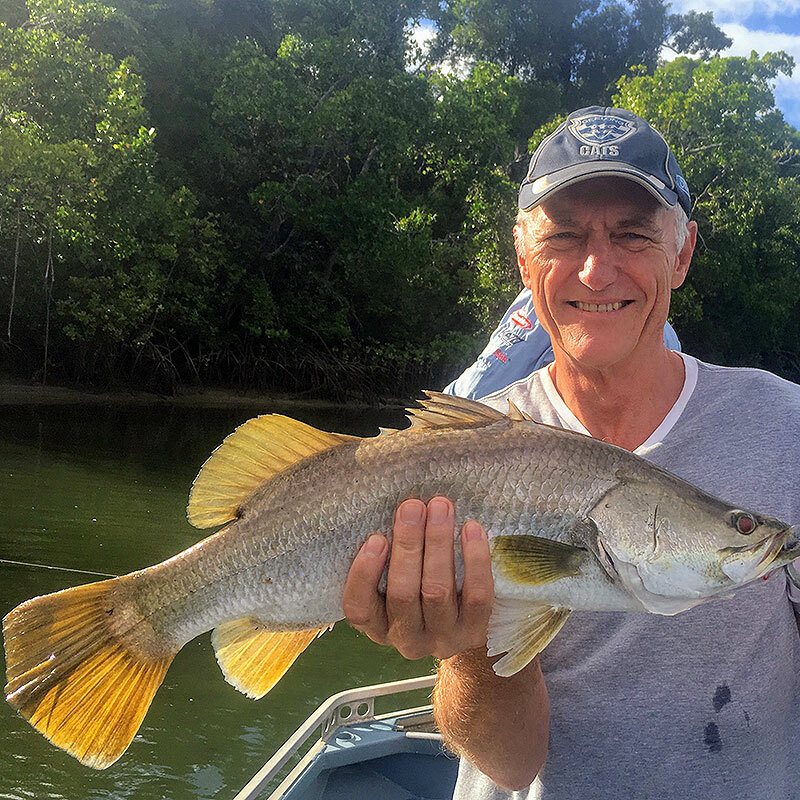 The fishing was good with a variety of fish including 3 large barramundi, all released, many more missed (my fault haha) and a handful of small fish, including some healthy mangrove jacks. Fishing tackle was in new condition and plentiful. Will’s knowledge was amazing. Thanks for making me feel special and showing me a few tricks. I will be out again next time I'm in town!!!" 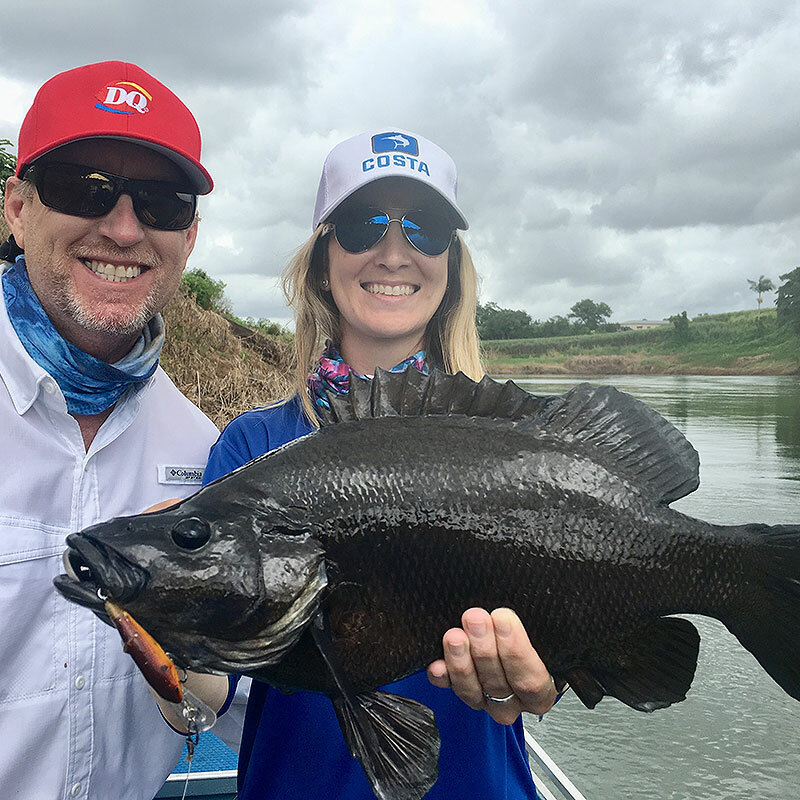 "I can’t thank Will enough for an amazing day, he promised me my first barra and came through. We fished the Daintree. Missed a few big ones, but that’s fishing. Great guide, great set-up and knows every inch of the river. Picked up and dropped off from home. If you're thinking of doing a charter, give him a call, you won't be disappointed!! I’ll be booking back in next time I'm in town! Thanks again mate." "Will was awesome. From the moment he picked me up, till I was dropped back at my hotel, I was so well looked after. Fish Hunter FNQ made a birthday fish one to remember. I had two wishes: 1 to catch my first barra; 2 was to get a jungle perch, both were achieved through a very knowledgeable guide. 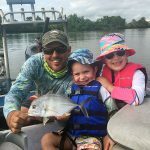 I highly recommend Fish Hunter FNQ to anyone wanting a great day out on the water catching fish, you won’t be disappointed. I will be sure to book again when I come back up later in the year. Thanks again mate." "What a fantastic way to spend a birthday! Will was definitely the best guide for our Daintree River adventure. Will was really knowledgeable of the area, as well as giving genuinely helpful advice as required to help my husband and I catch our first Barramundi on lures and have fun with a range of different sportfish in FNQ. 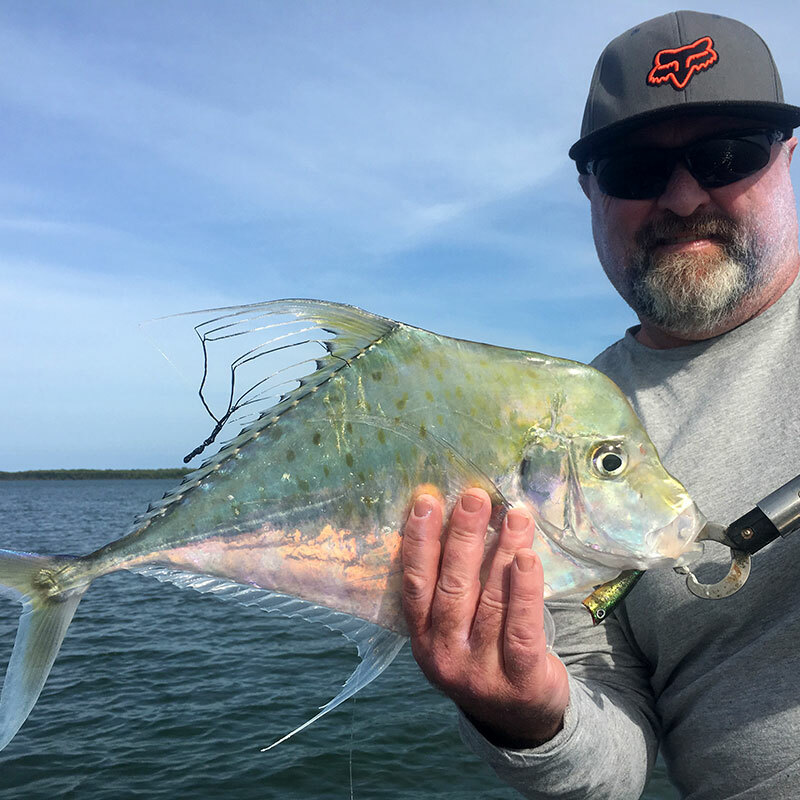 The Fish Hunter sportfishing charter is an experience not to be missed by avid lure fisherman and eager novices alike. Will tailors the quality equipment provided and techniques used to suit both conditions and angler requirements very well. We had an absolute ball and hope to return again!!!" "Thank you Will, for a fantastic day out. Des and I learnt a huge amount about using lures and plastics. 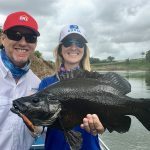 You put us on some amazing spots and it was great to be able to catch fish all day long and such a variety of fish. The scenery up the creek was also amazing. We will be sure to give you a call next time we are up that way." 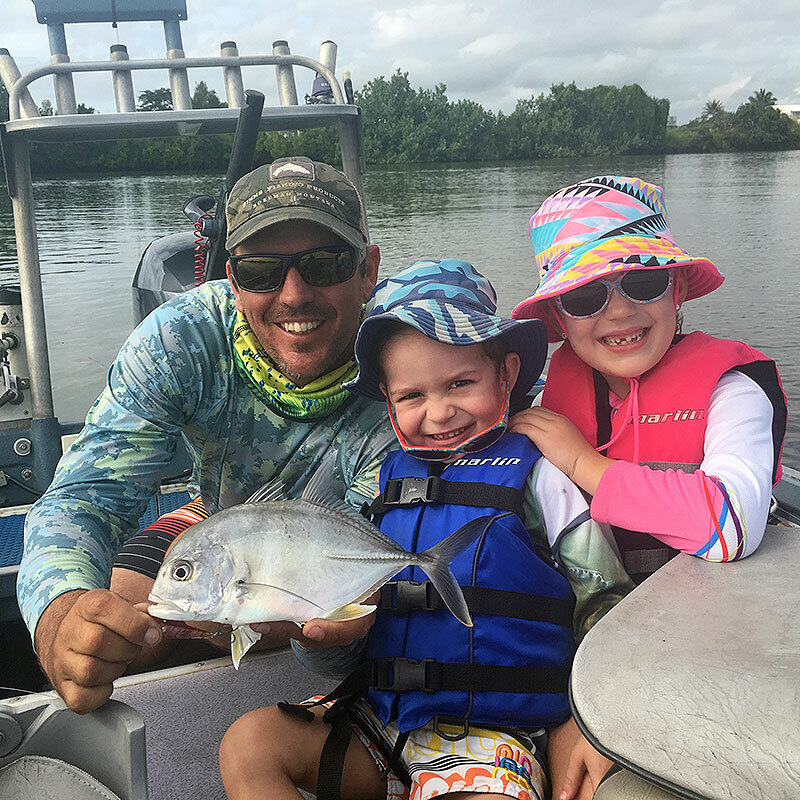 "With pick up and drop off at our hotel in Port Douglas, the days fishing with Will couldn't have been easier to organise. 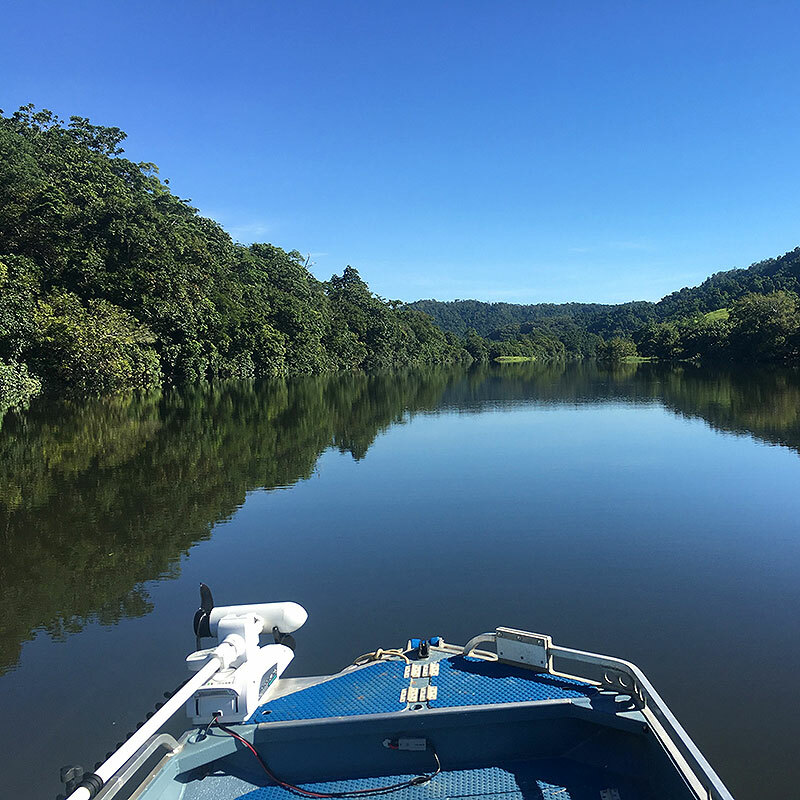 The Daintree River is stunning with crocs on every corner and plenty of hot spots to cast too. Will is a great guide and knows the area very well. I highly recommend his guiding services."